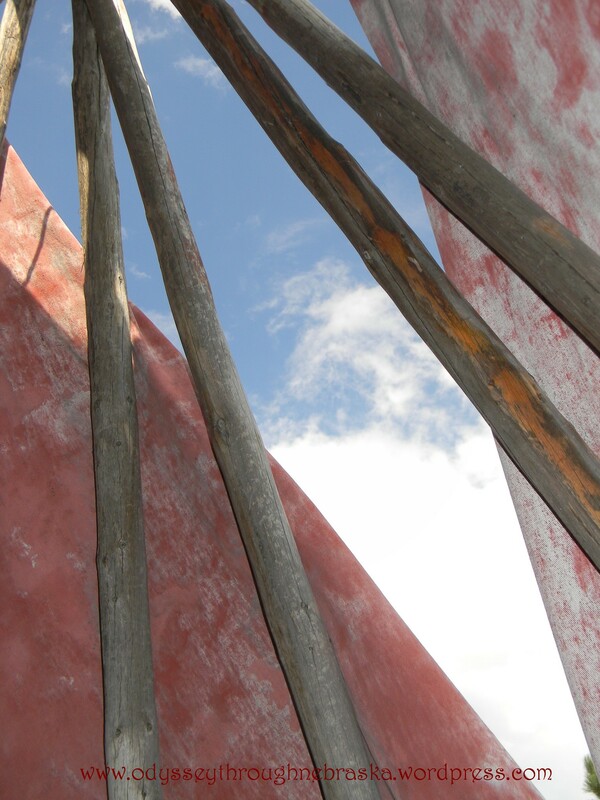 Life is looking up at the Museum of the Fur Trade. 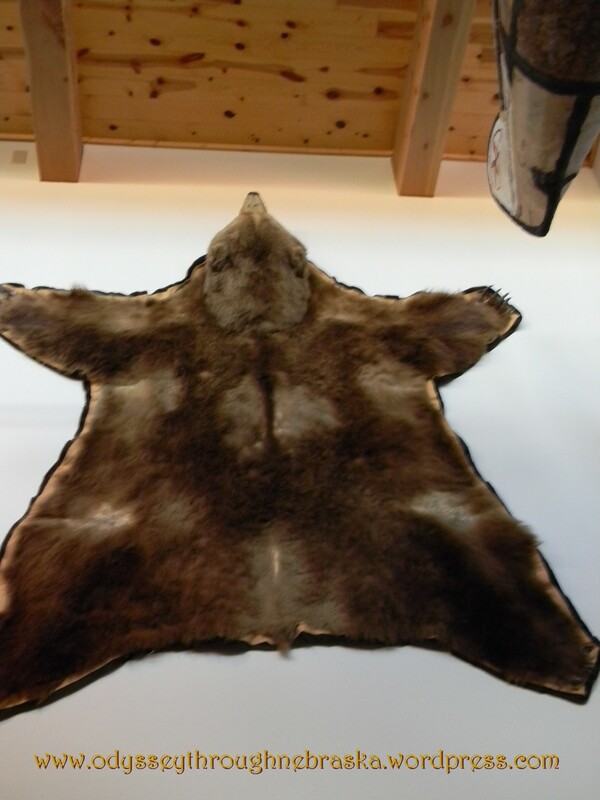 The only place I have seen where having a bear skin on the wall looked perfectly natural. 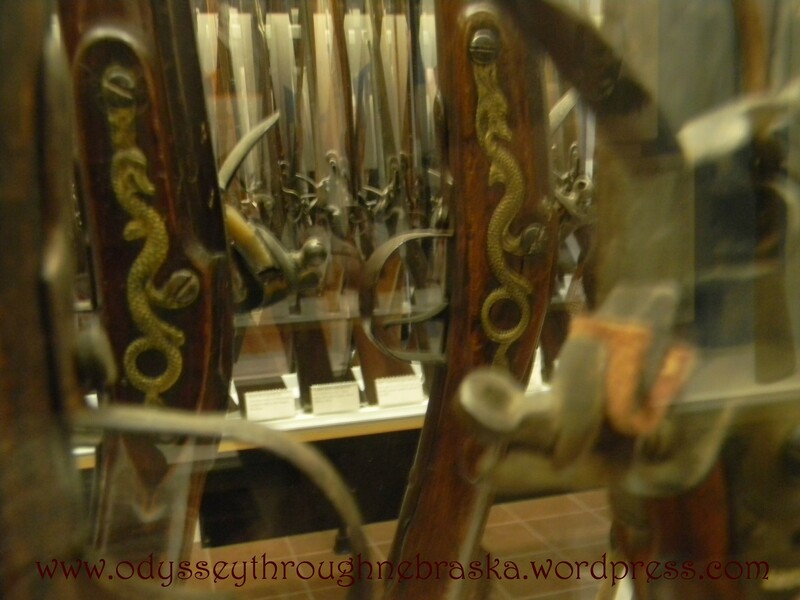 One thing I did learn: much of the trading involved guns. 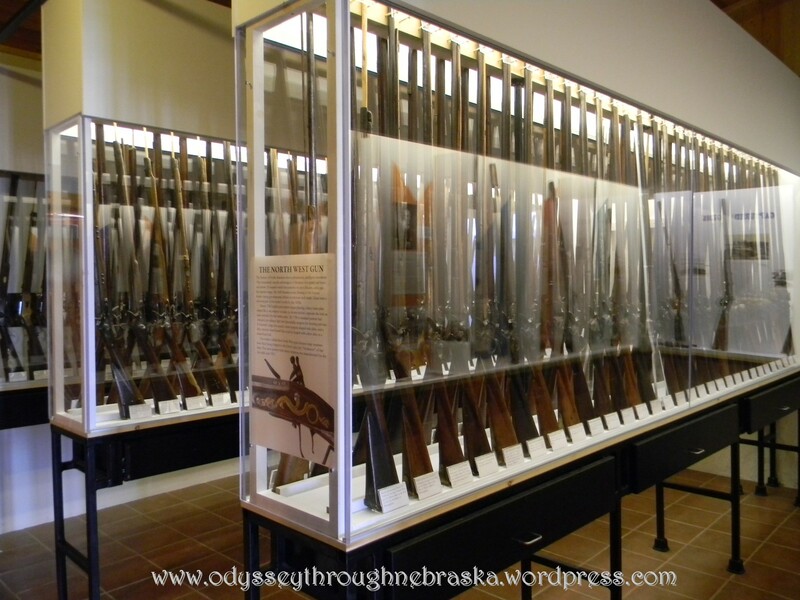 The museum strives to have the most complete “trader” guns collection possible. So, they annually attend the larger gun shows to continue to keep up their stock. Although I will never be a hunter, I have to say I was impressed with their display! 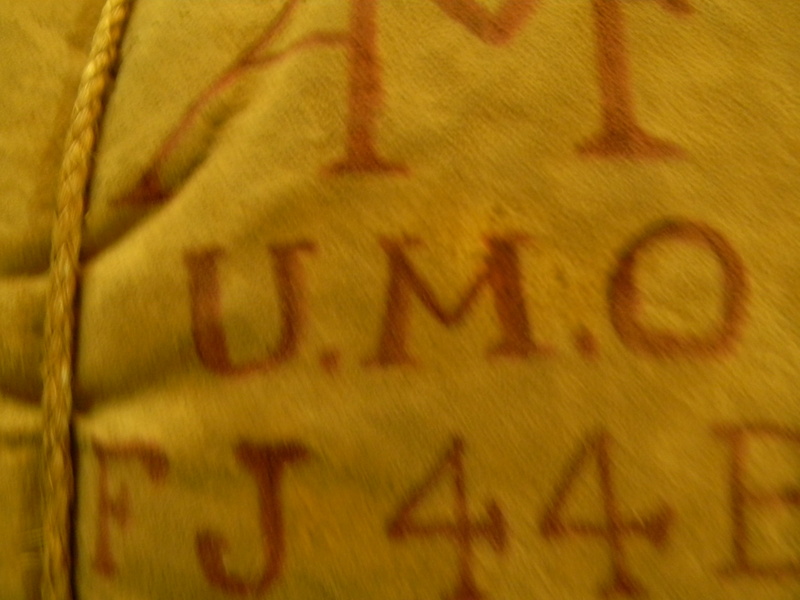 Many of the traded guns had the snake insignia on the back, per the Native American’s request. That was the symbol they wanted to see. 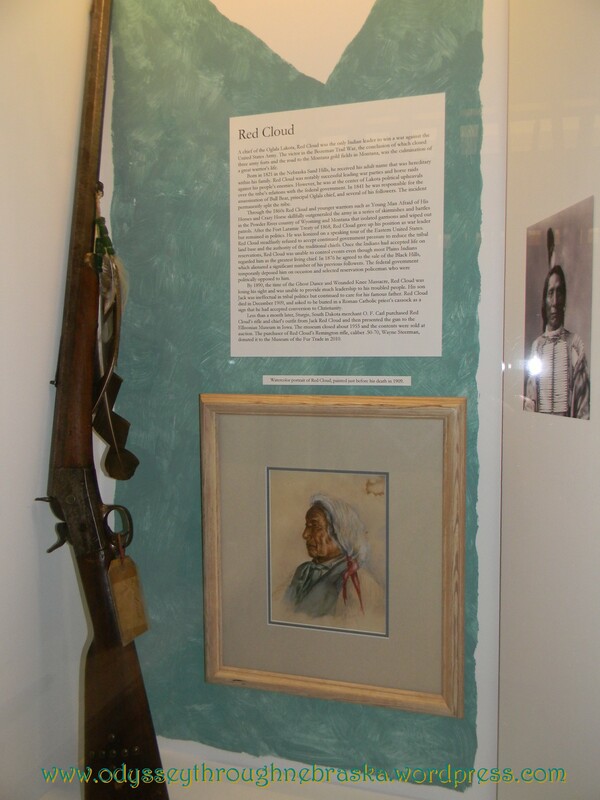 This is the documented gun of Red Cloud, one of several guns “collected” that were actually used by others and where the story behind the gun is known. Why is this museum so well done? They have had the same curator/director for 17 years. 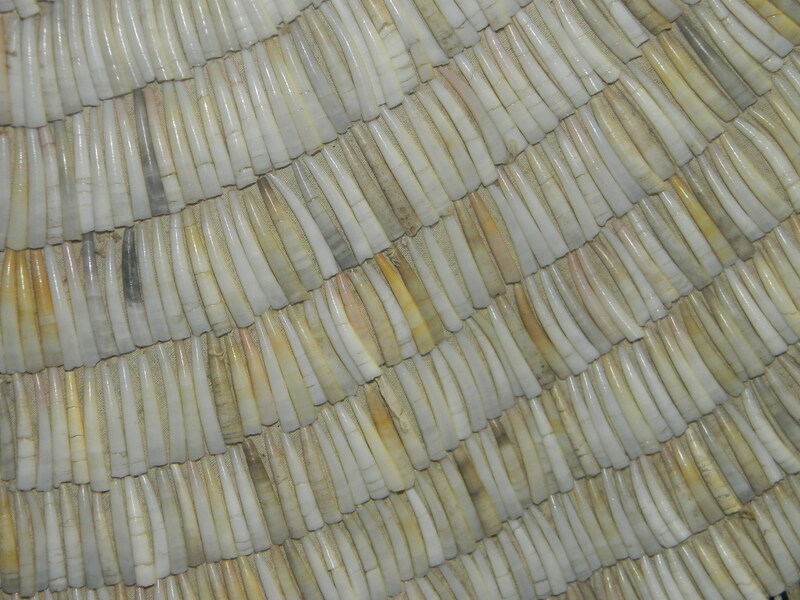 Gail DeBuse Potter is meticulous about detail and is so incredibly knowledgeable about the fur trade and antiquities. (In fact, I missed getting to see parts of the museum as in-depth as I would have enjoyed because I was talking to her for so long. Fascinating woman!) She is recording details that have never been documented and compiled before and is overseeing the project of compiling several volumes of fur trade history. 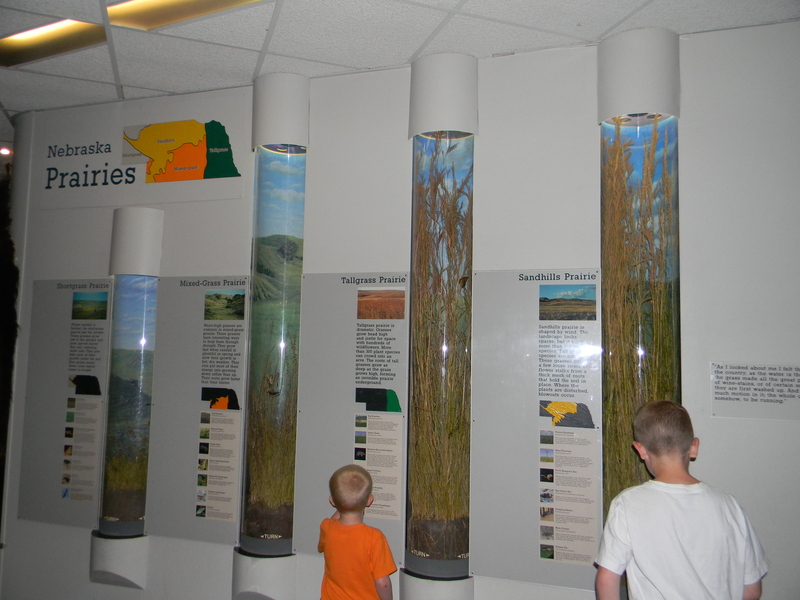 One example of a wall display. 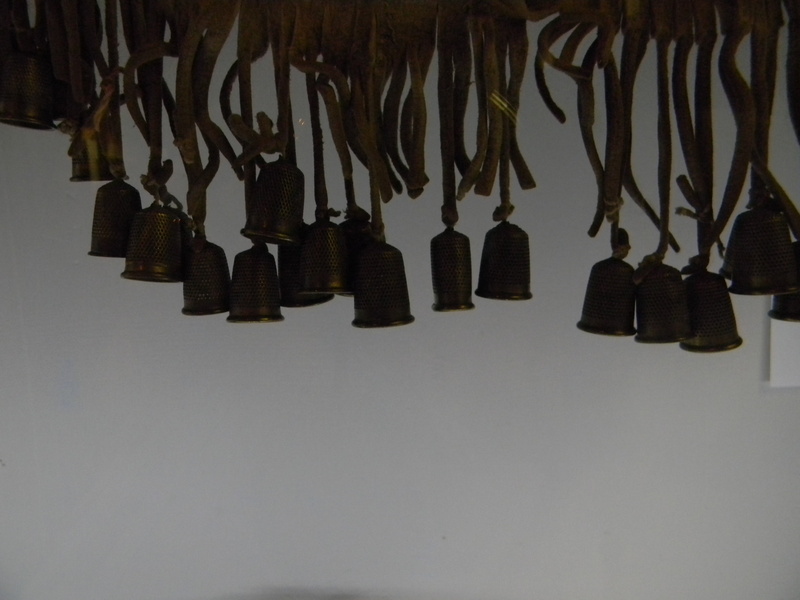 Hard to take great pictures due to the low lighting that is necessary to preserve the objects. 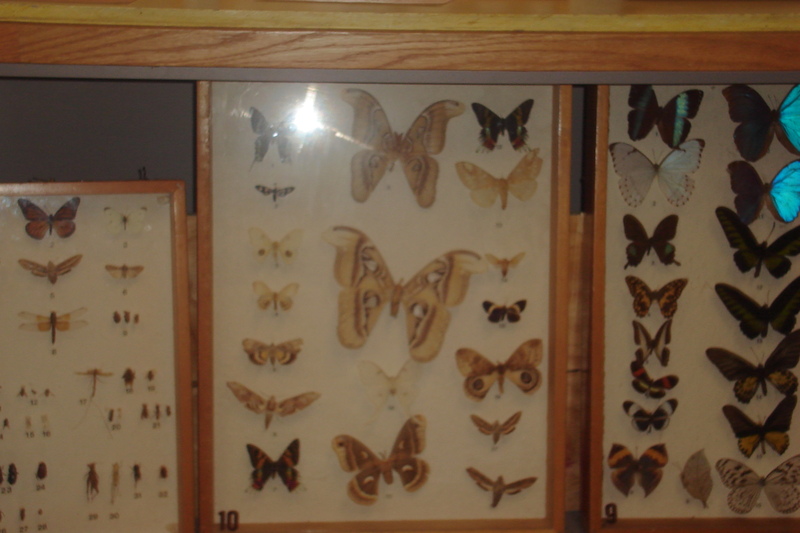 The other main factor that makes this museum unique: collections were acquired deliberately, as opposed to an “object donation” only basis. Since the museum is writing down the history, they are compiling items and memorabilia that best reflect the events that occurred in the past. 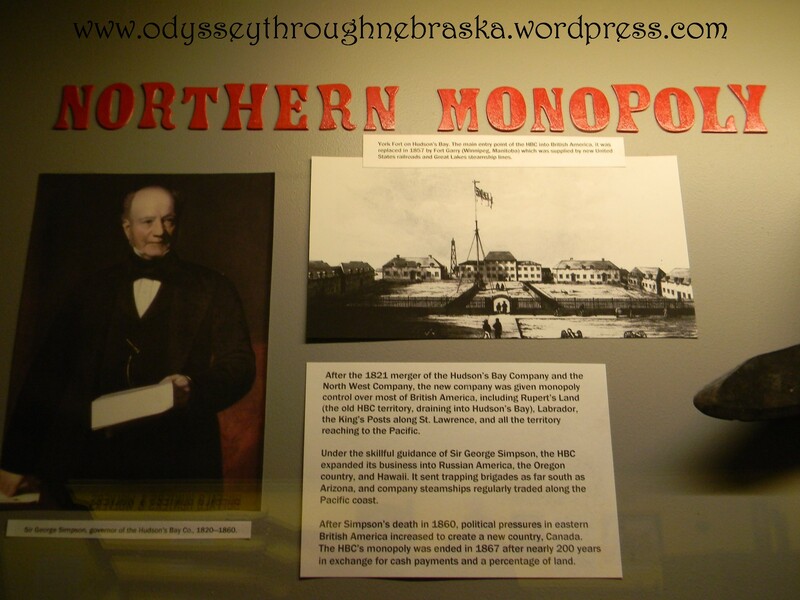 Due to monetary donations and other acquisitions, the museum has been able to stay very purposeful. 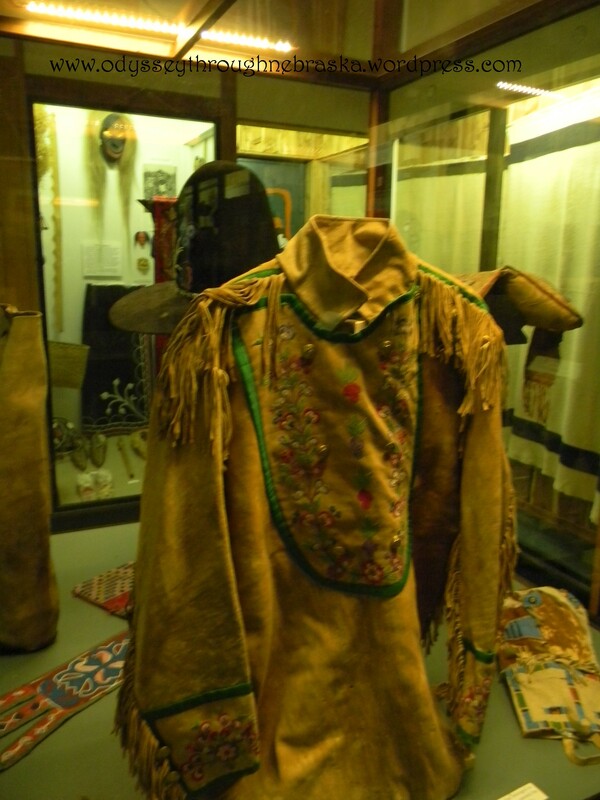 A sample of the Native American collection. Director Potter does feel that the focus of the museum is more for adults. 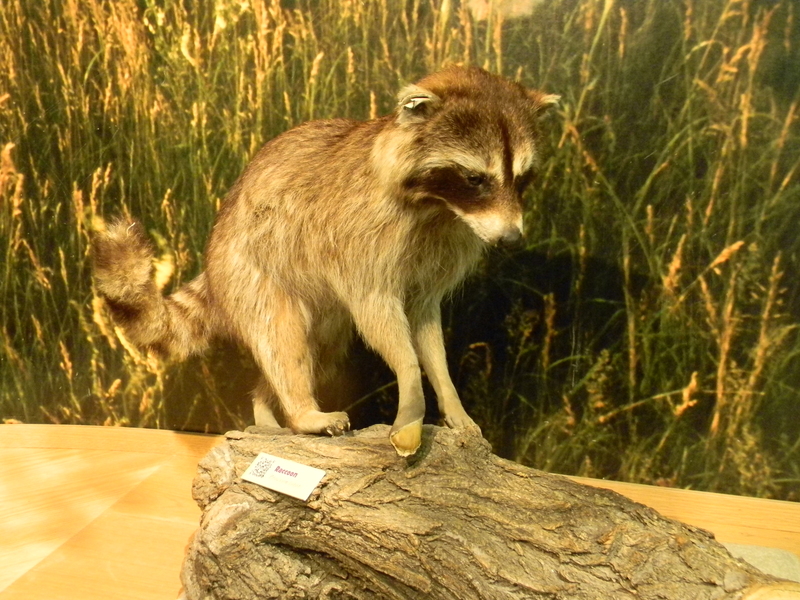 Yet because of the immensity and variety of collections, as well as the outdoor displays, my children loved the museum. She did give my boys a picture scavenger hunt to complete which helped them to really hunt through the displays, and then there was even small prizes at the end. 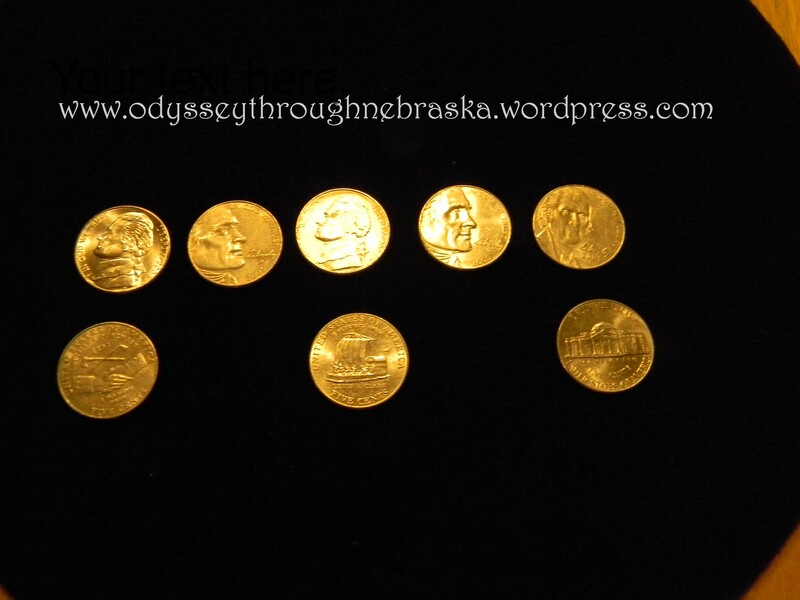 The boys each got a commemorative Lewis & Clark nickel for completing the hunt. (And a small coloring book too!) I am not sure what she hands out to larger groups. So, while the focus is not children, they will still have a great time. My youngest two missed out on this event, but even at 4 and 6, I think they would have enjoyed seeing all of the displays. 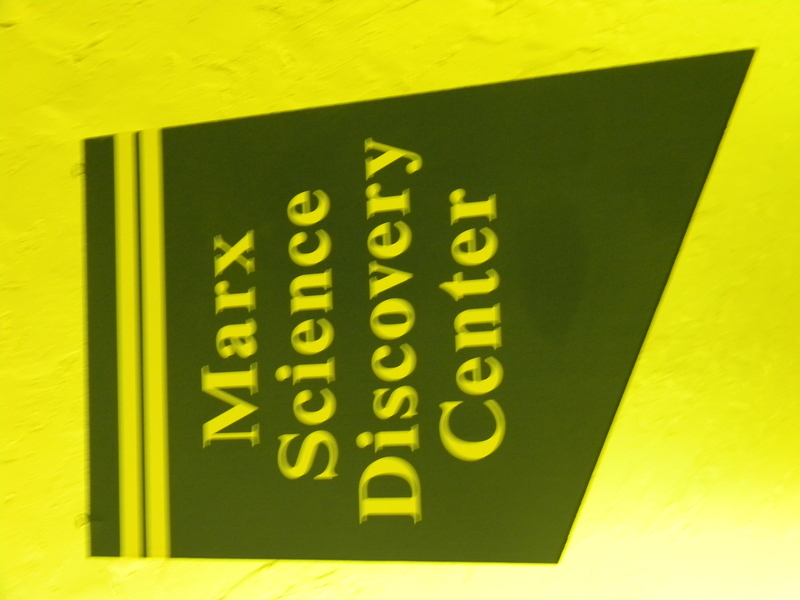 I know that my oldest two thought that this was one of the best museums ever! 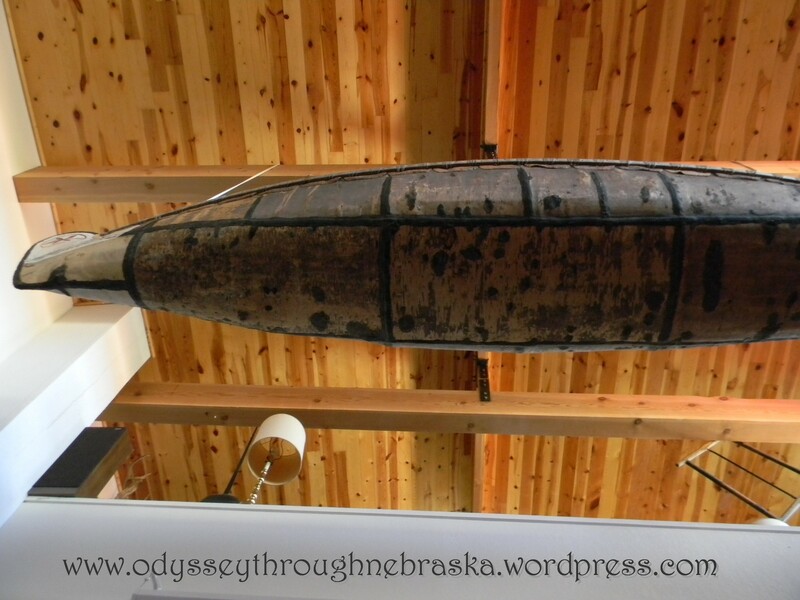 The unexpected part of our visit to the Museum of the Fur Trade near Chadron? Being able to walk around a replicated trading post area. 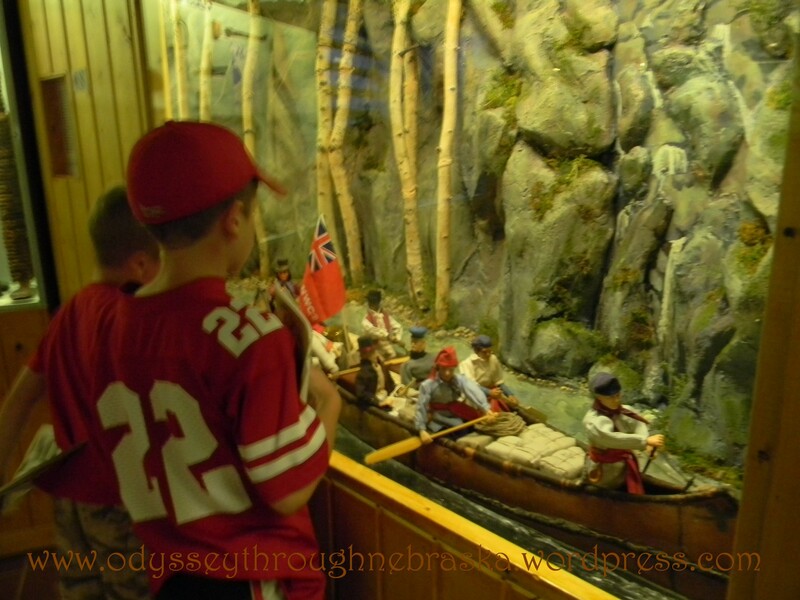 The museum was built on the site of a former fur trading post, adding authenticity to the feel. 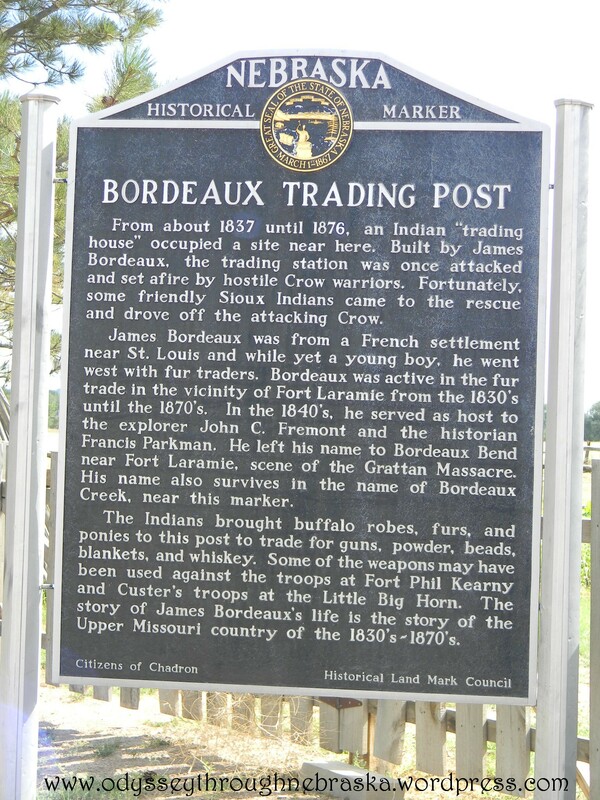 Many historical events were influenced by Trader James Bordeaux and impacted by this site that served as a satellite trading post at one time for nearby Fort Laramie. 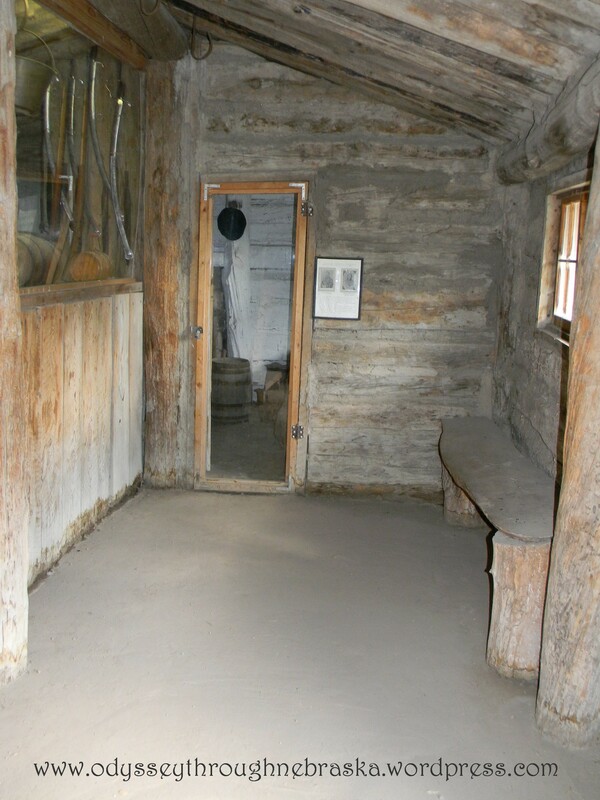 Behind the museum building, they carefully reconstructed the post in 1956 using the original footprints as a guideline. This view of the dugout is almost camouflaged into the hillside. 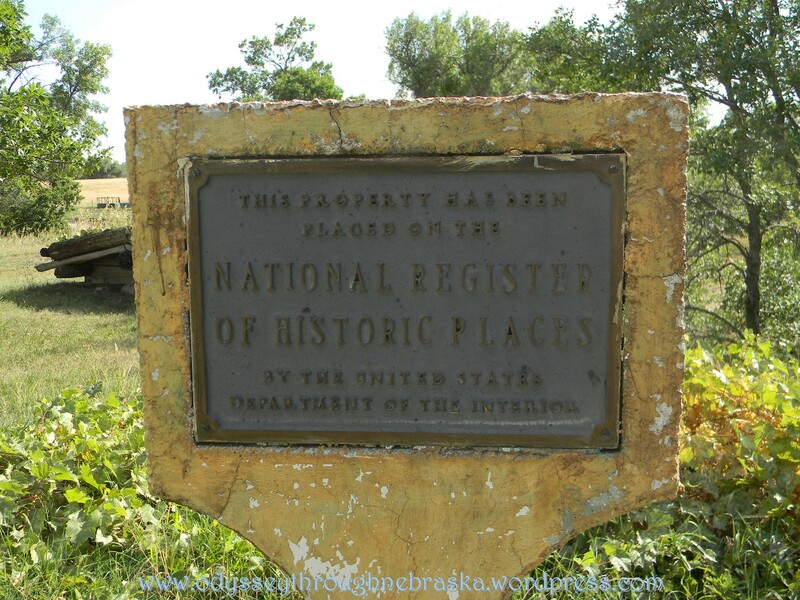 Their re-creation of the post was completed so authentically that the place is now on the National Register of Historical Places. 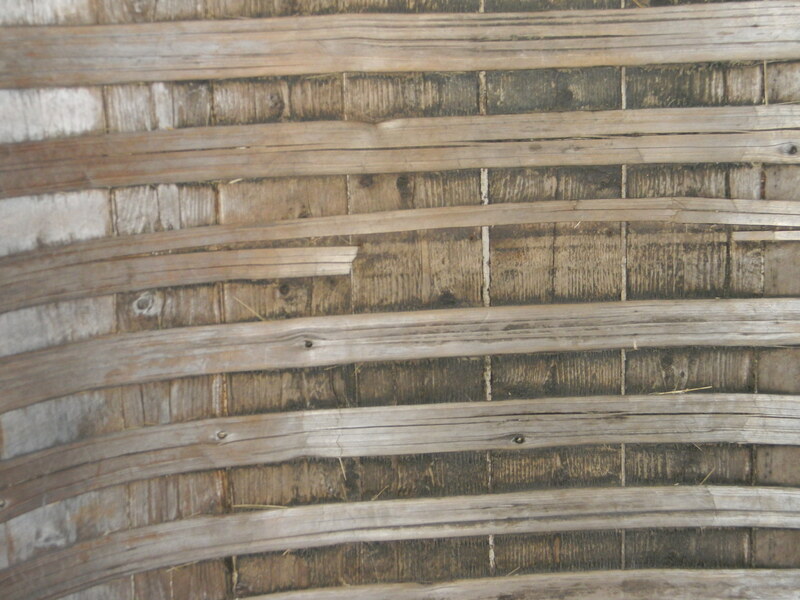 This award is normally only given for original buildings, not reconstructed ones. 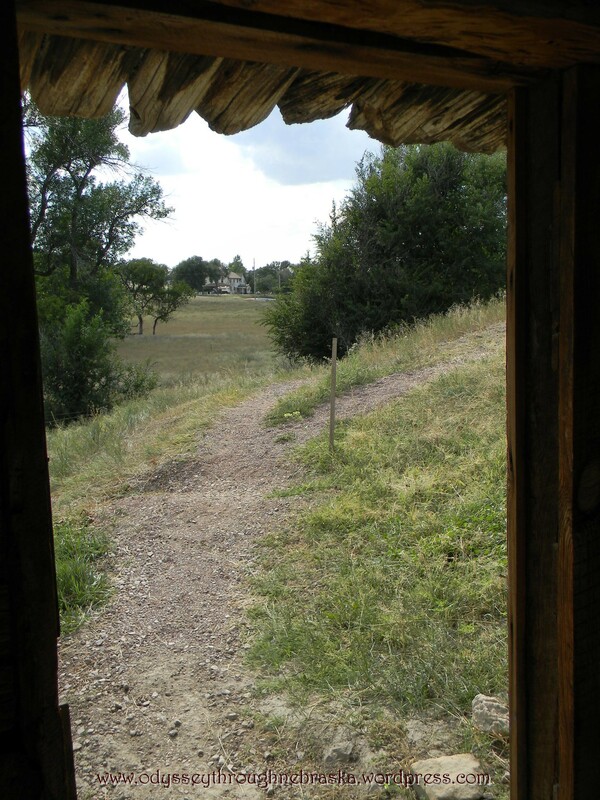 Whenever I see a dugout, I can imagine a cow stepping through the roof. Or even worse a snake slithering in. This had to be a real possibility. After all, this sign was prominently posted in the dugout. I doubt life has changed that much! 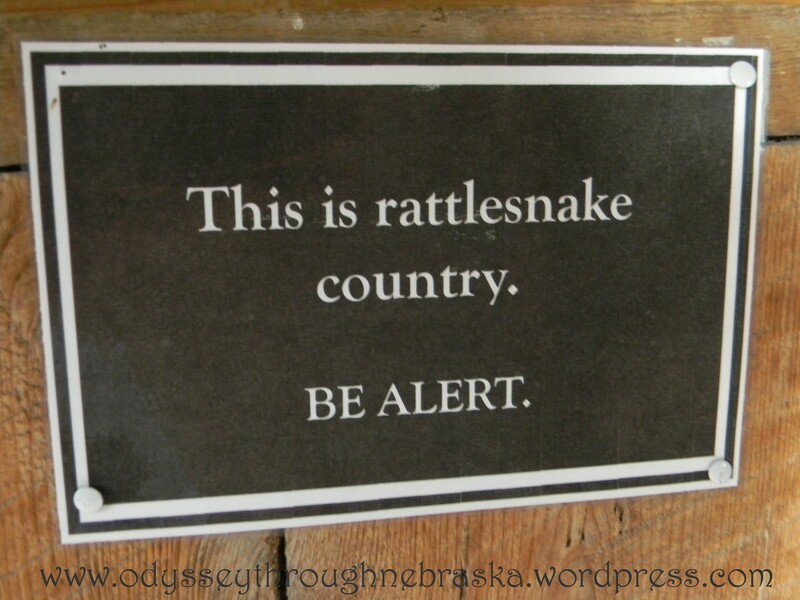 I was not disappointed when we did not see any rattlesnakes! While the building may have been small, many activities took place inside. 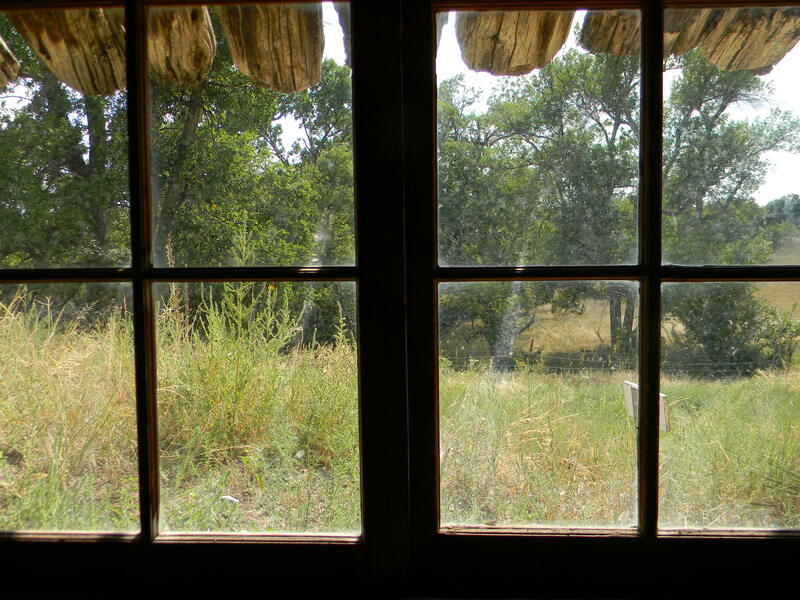 You can peer through panes at items that might have been for sale at a post. 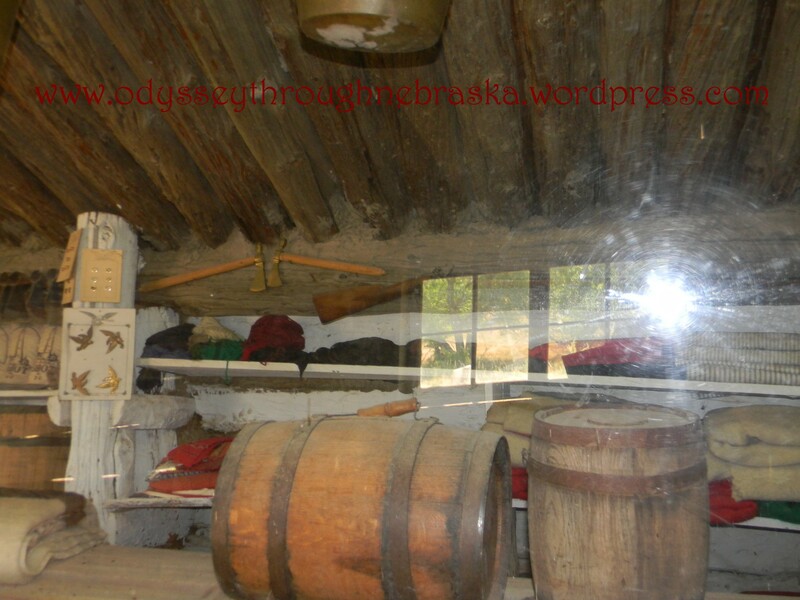 You can also see a glimpse of what the “living quarters” for the traders might have resembled. 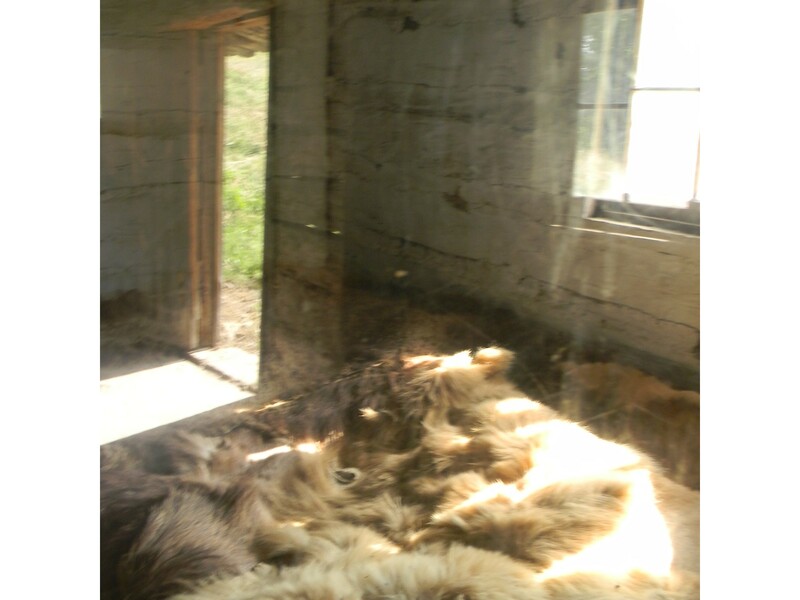 And yes, furs were probably involved in the furnishings. The adjacent creek is almost visible over the hill. 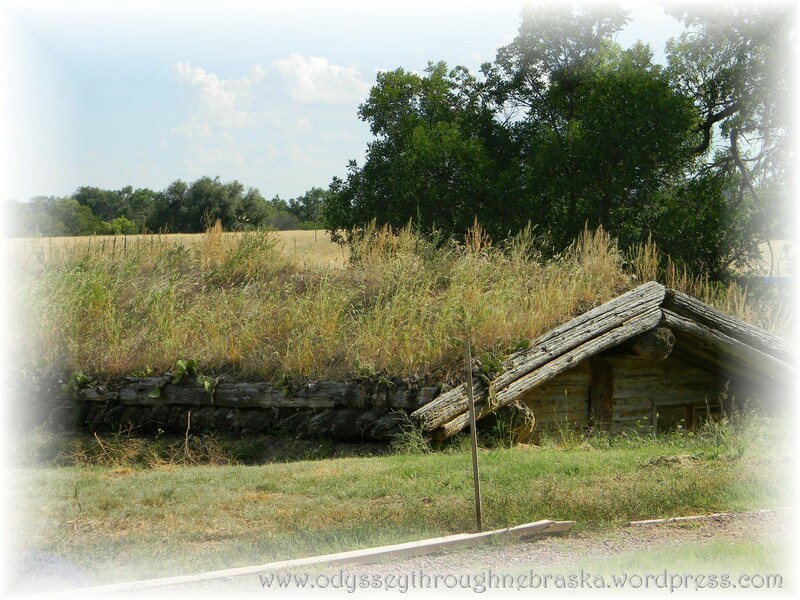 A nearby water source was essential for life on the prairie. 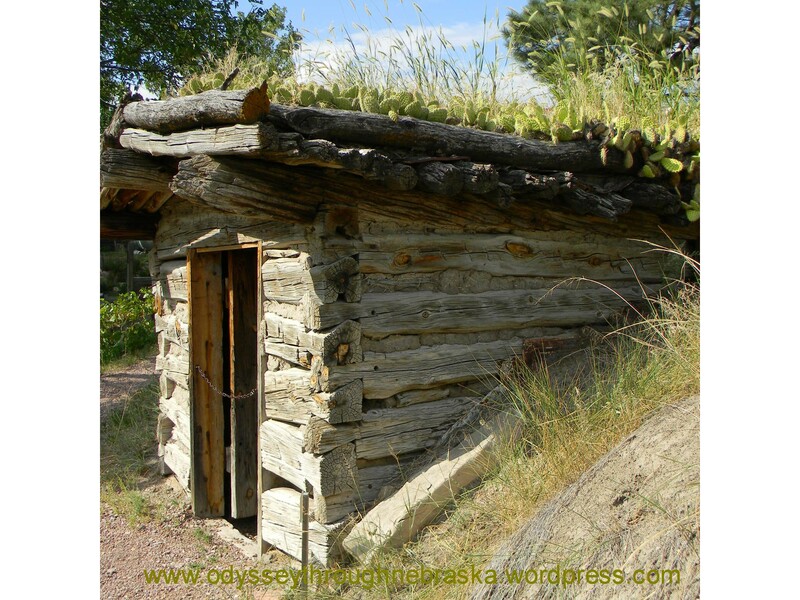 Nearby the dugout, a storage shed was built to demonstrate how they would have had to hoard stock supplies to have enough for trading. 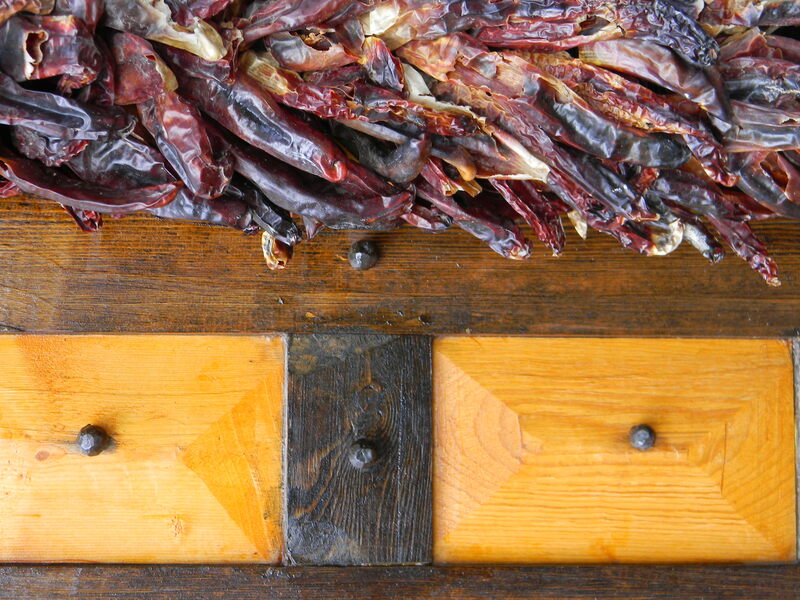 Replicas of the goods needed to trade. Even back then, space was at a premium. 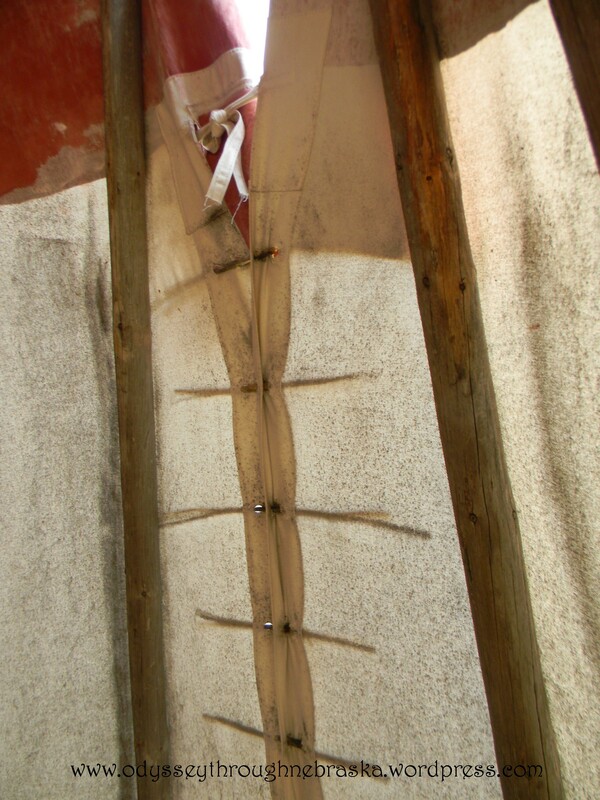 This is an example of a fur press that they would have used to compact the furs before shipping. 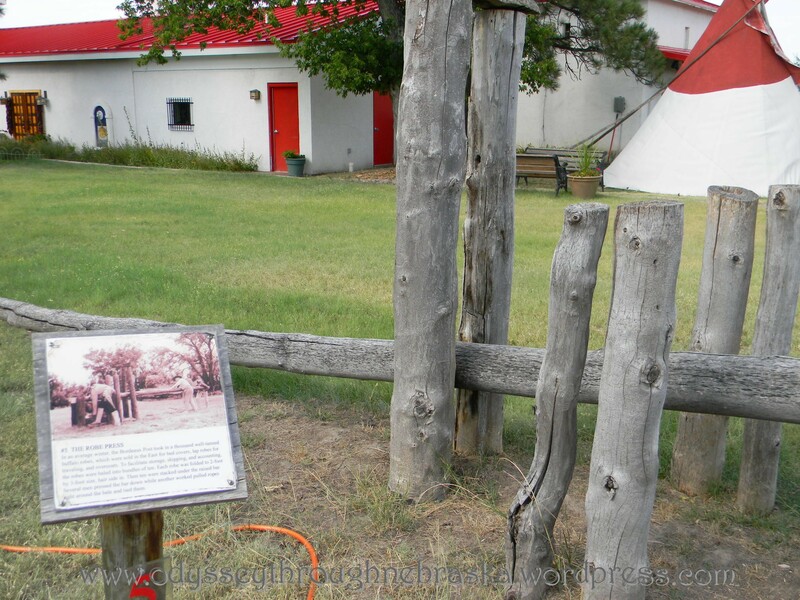 Also re-created on the grounds is the tipi used by the the Brulé Sioux Indians who would have been the primary people to use this post. 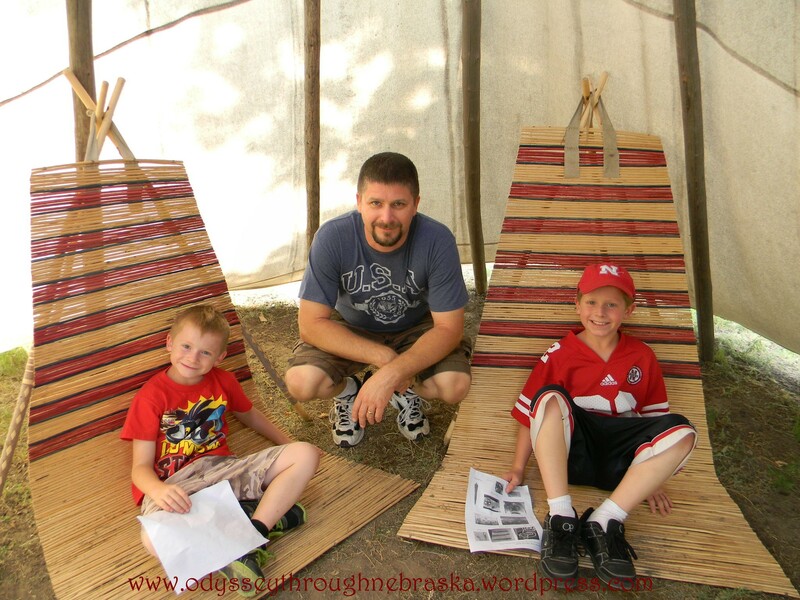 Taking a break from the hot summer sun, although the tipi felt warm due to the lack of breeze inside. The staff at the museum annually plant an Indian heirloom garden, continuing to grow plants that have been around for centuries. 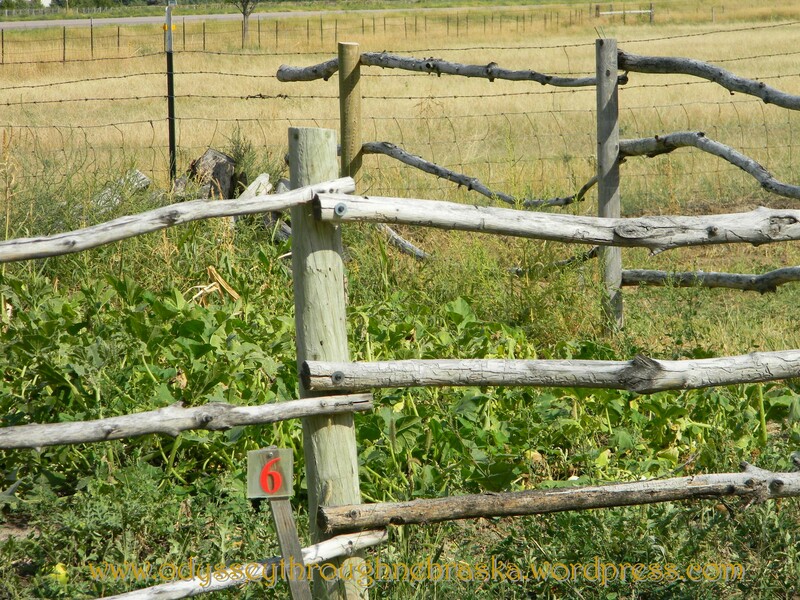 (Here is a list of the Heirloom plants growing in the Indian Garden). 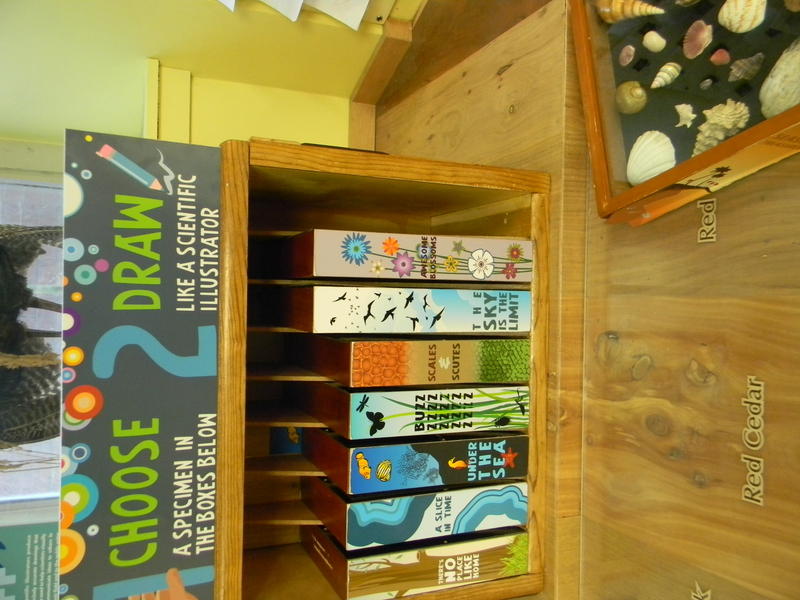 And if you also have a hankering for hidatsa beans or little blue corn, packets of seeds are for sale inside the museum. 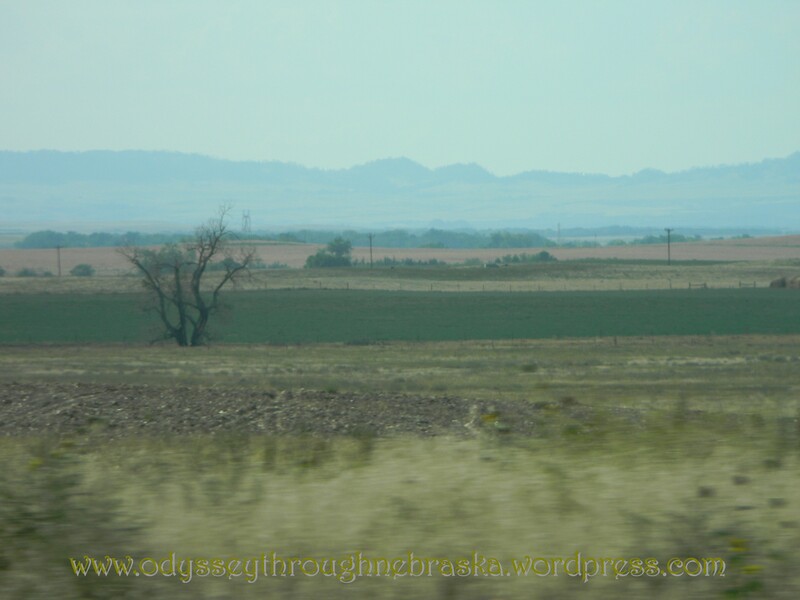 The beautiful setting for what ended up to be one of our favorite places on our Nebraska panhandle trip. 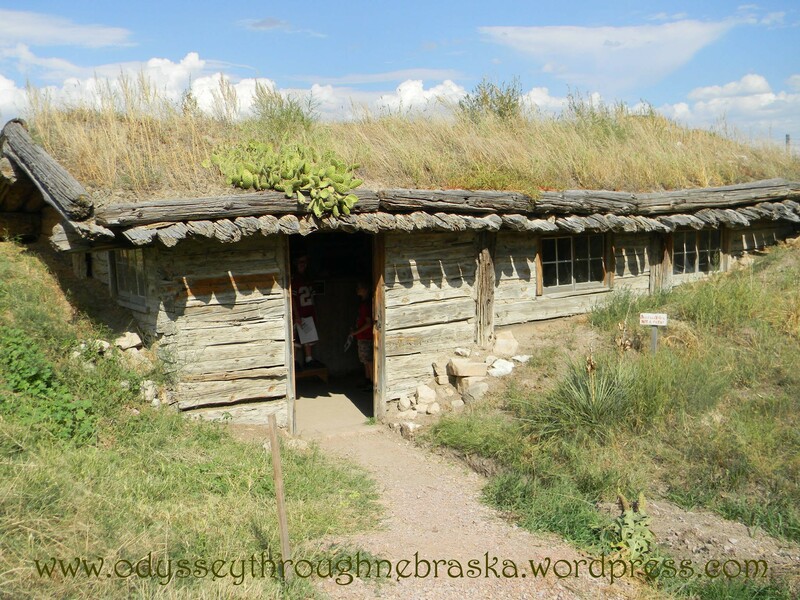 The Pine Ridge Bluffs near Chadron and the Museum of the Fur Trade. 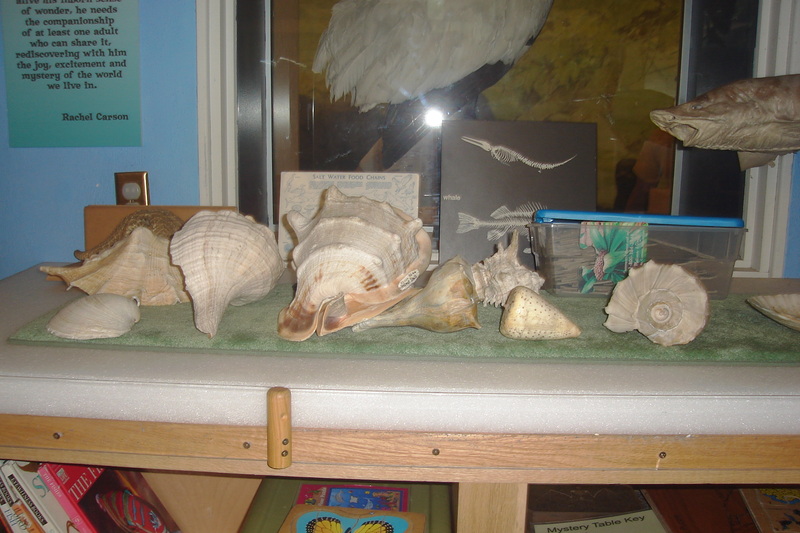 Yesterday for Wordless Wednesday, we were at Morrill Hall – specifically in the Discovery Center downstairs. My kids could stay in that room for a VERY long time. 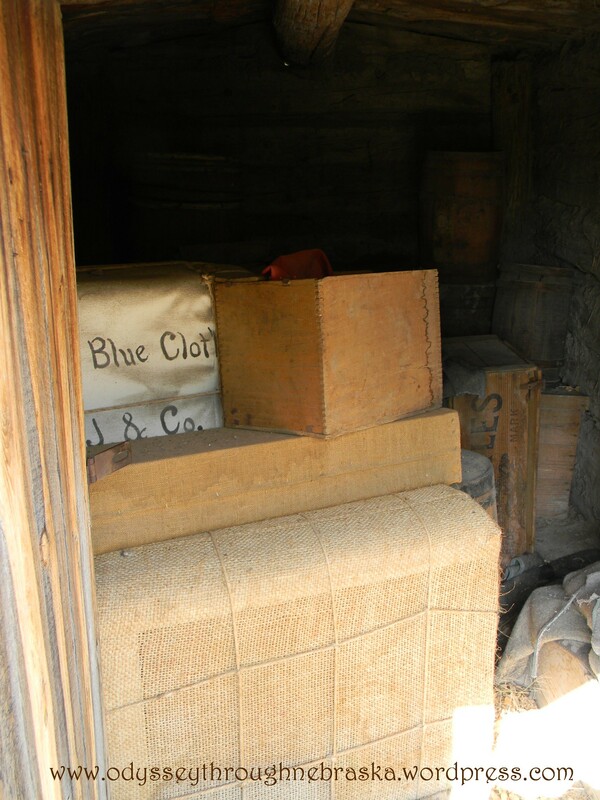 And we were probably there at least an hour and did not even begin to see half of what is contained in that room. 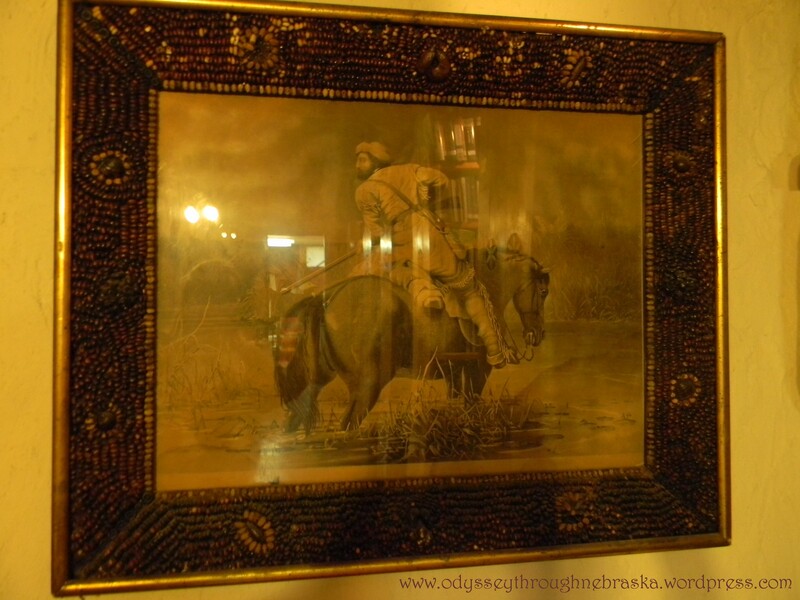 This room is crammed with so much to see and do that I decided to use pictures to show, then adding captions to tell what you are seeing, rather than including lots of text. Since my pictures were definitely a bit cryptic yesterday, I will start by including a complete picture of the four close-ups featured yesterday. Cuter than they probably are in real life! 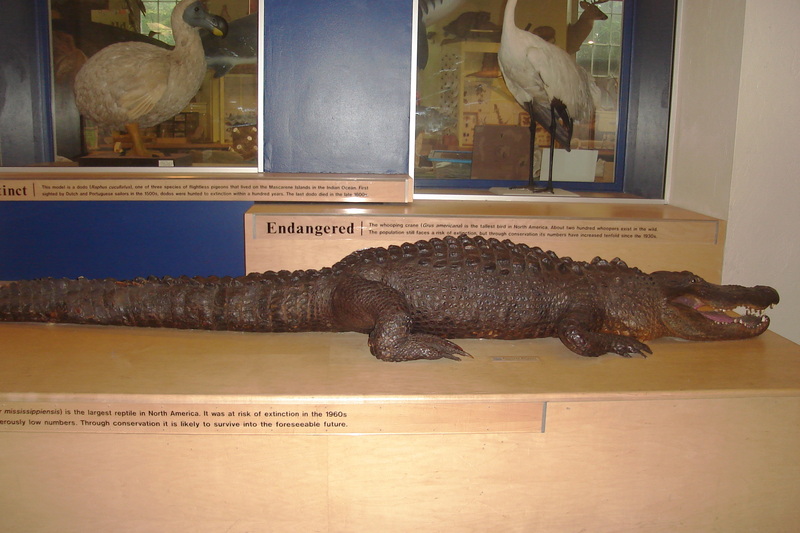 Am fine with seeing this animal mounted rather than live and in person! 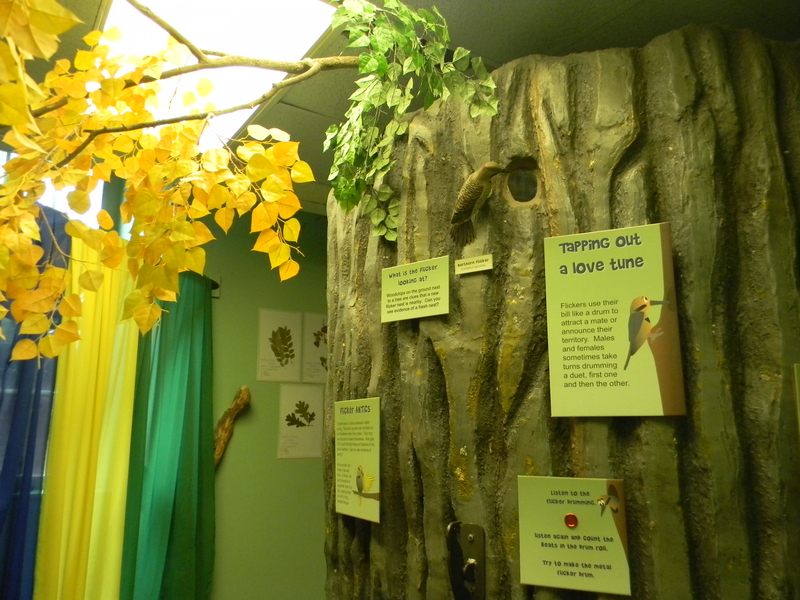 Their “tree” demonstrates the different seasons and also explains about different animals. You can see the puppet show/stage in the background. 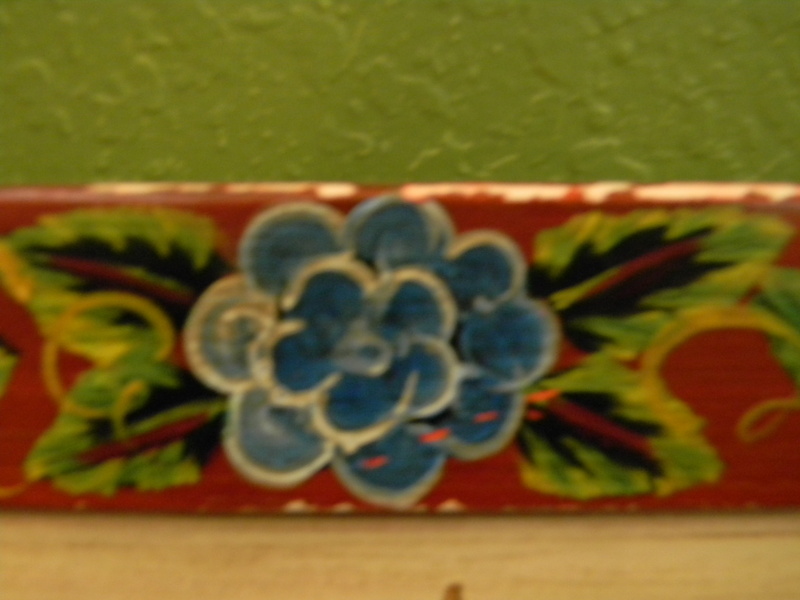 You can take down a box, then illustrate what you see! Great for those who have an artistic eye. 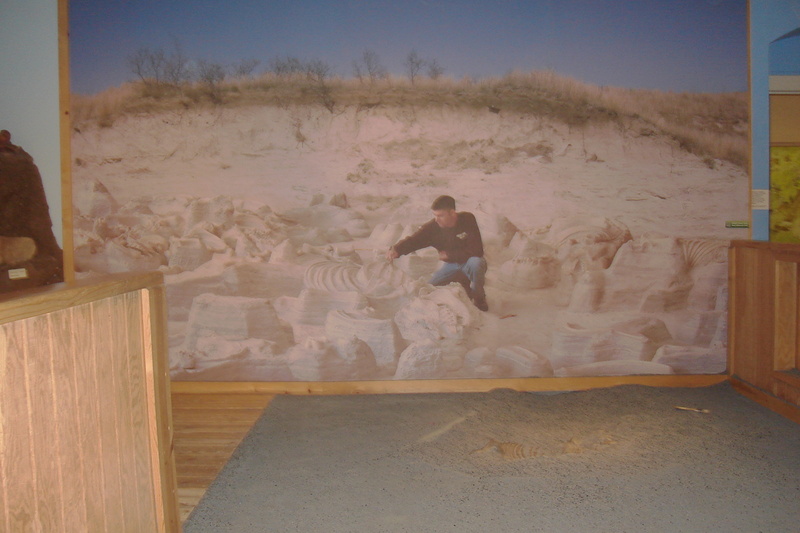 You can pretend to “dig” for dinosaurs with Ashfall (located in Northern Nebraska) pictured in the background). 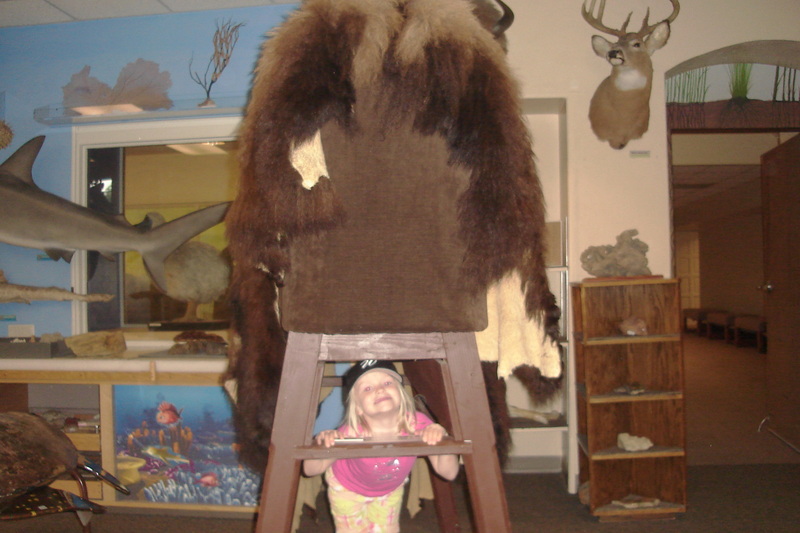 Both “animals” for crawling under, not climbing on top! Collections to play with, and you can see just a glimpse of the puzzles and books underneath. Just outside the door – the closest I ever want to get to one of these! 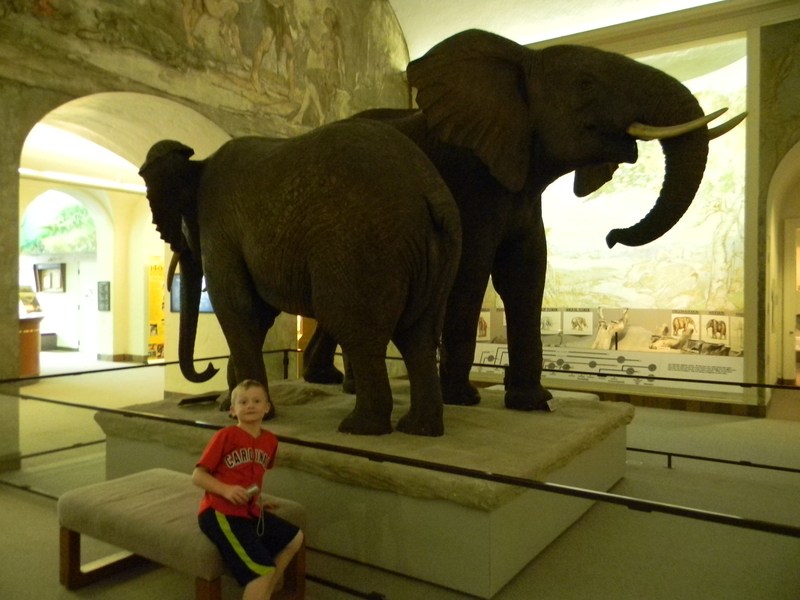 If you never made it to Morrill Hall, now is your chance. Admission is FREE tonight and next Thursday from 4:30-8:00. For active military members, this is also a Blue Star Museum – free admission still for a few more weeks. The rest of the museum also happens to be fabulous. 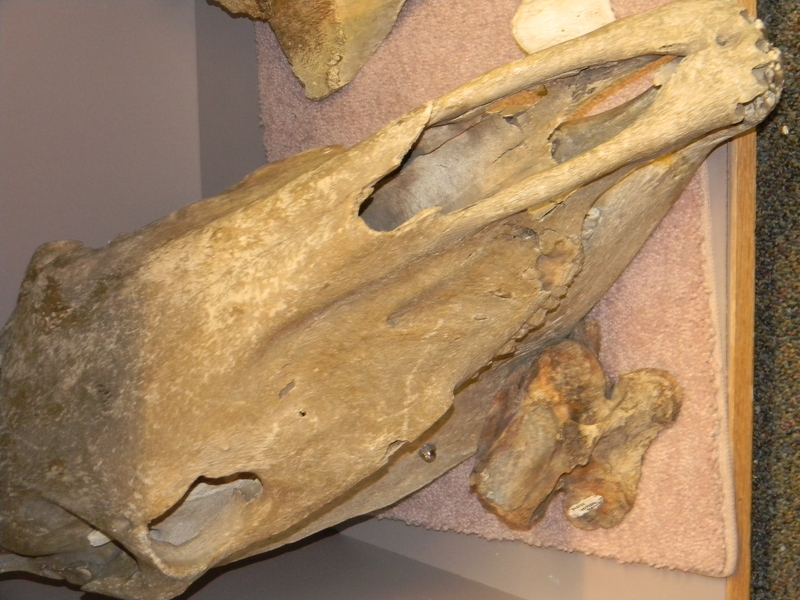 (Although I will say from a personal viewpoint, I do not completely agree with some of their evolutionary conclusions, but …) I will write more blog posts in the future on some of Morrill Hall’s additional areas. Somehow my oldest only made it into this picture. Another great area in the museum for another day! Can we ever thank our military enough for all of the sacrifices that they and their families make to keep us safe? One small tangible way was set up several years ago. An organization devoted to the military, called Blue Star Families, has made arrangements for military and their families to get into area museums during the summer for free admission. This blurb explaining the details of the program was taken directly from their website. 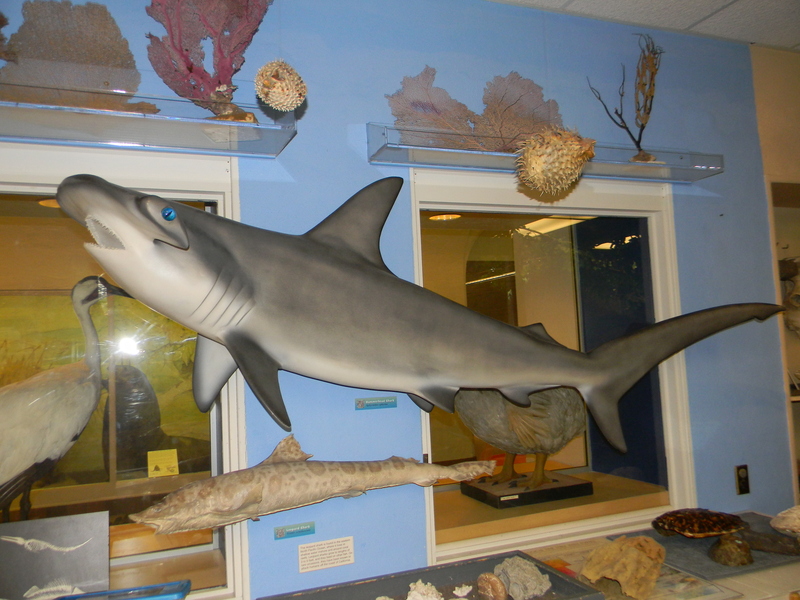 Welcome to Blue Star Museums! Blue Star Museums is a collaboration among the National Endowment for the Arts, Blue Star Families, the Department of Defense, and more than 2,000 museums across America. First launched in the summer of 2010, Blue Star Museums offers free admission to all active duty military personnel and their families from Memorial Day, May 27, through Labor Day, September 2, 2013. See the map below for museums participating this summer. 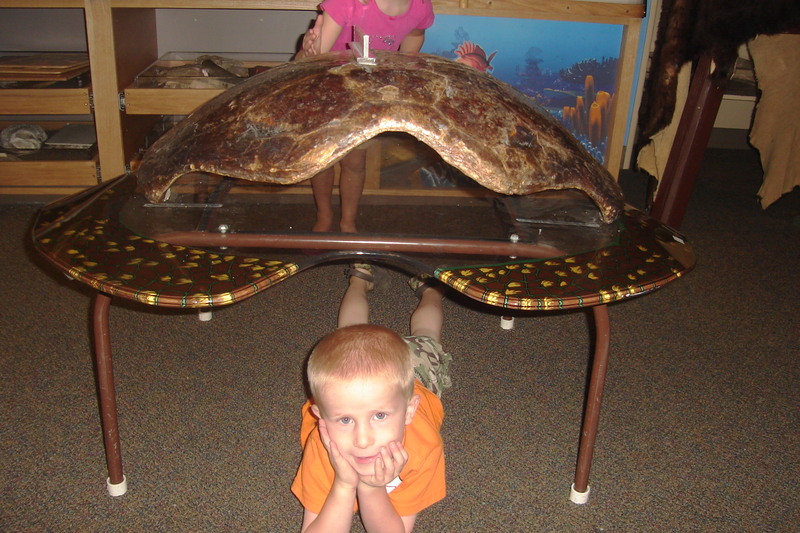 Here are the museums that are participating this summer in Nebraska. For more information, you can go directly to their website. Even if you are not military, you could definitely help the program by going to the places that are supporting the military. And if you happen to see a serviceman or servicewoman there when you go, please be sure to say thank you to them AND their families!